Myers Floors & Interiors’ Design Partner Program offers design professionals, architects, builders and contractors access to and trade pricing on our entire product line. As a Design Partner, you’ll enjoy special buying privileges, personalized service and the convenience of having a single source for flooring to countertops to lighting. We know your time is valuable. You can reserve our Design Center to meet with your client privately at your convenience, or we’ll work one-on-one with your client based on your direction. Myers Floors & Interiors will grant Design Partner membership status entirely on a discretionary basis. Acceptance is based on receipt of appropriate credentials. Membership status is granted per individual and is not transferable. This is not a credit card application. Trade discounts are not valid with any other offers and sales or on previously placed orders, and they do not apply to any shipping fees, taxes or installation charges. If two trade professionals are contracted on the same job, discounts are split evenly between both members. Unauthorized resale of merchandise may result in termination of membership. All trade returns on stock merchandise must be made within 30 days. Special order merchandise is not returnable. We reserve the right to terminate individual membership, cancel the program or change the terms of this program at any time without prior notice. Questions? 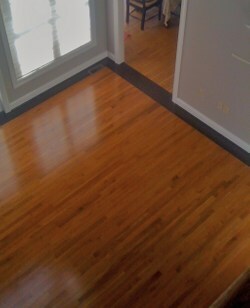 Call us at (717) 359-5460 or email design@myersfloors.net.